It was an intense Friday for Jasper Cillessen. 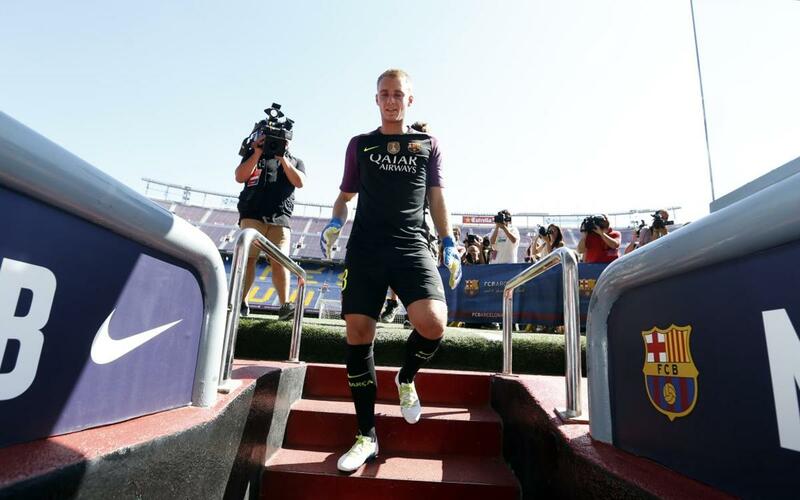 Unusually for the day of an official presentation, the Dutch keeper trained with his new team-mates at the Ciutat Esportiva before heading to the Camp Nou to be introduced to the club president, Josep Maria Bartomeu, and then to appear on the famous turf and salute his new fans. After that, it was over to the pressroom for his first media conference. There was a lot to get done, but we have managed to compress the whole day into just 100 seconds – and the result can be enjoyed in this video!